GES containment membranes are designed to withstand the harsh environments of shale field drilling sites, allowing them to be used throughout the initial drilling phase and subsequent hydraulic fracturing. The membranes are fabricated of 50-mil polyvinyl chloride (PVC) with a reinforcing fabric beneath to increase puncture-resistance and a textured surface on top to increase traction. 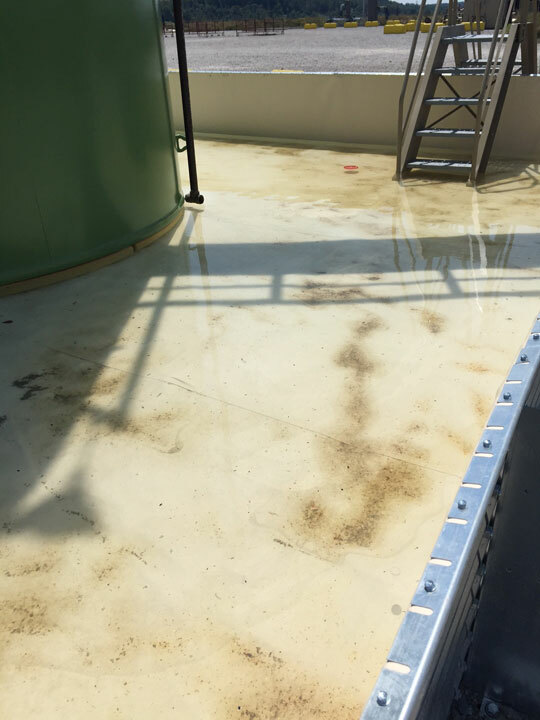 Unlike some traditional containment membranes, which can absorb contaminants, adding unnecessary weight that complicates repair and removal, the GES membrane is non-absorptive and easily cleaned when spills occur. The rugged, reusable membrane also retains its flexibility and performance in all types of weather. 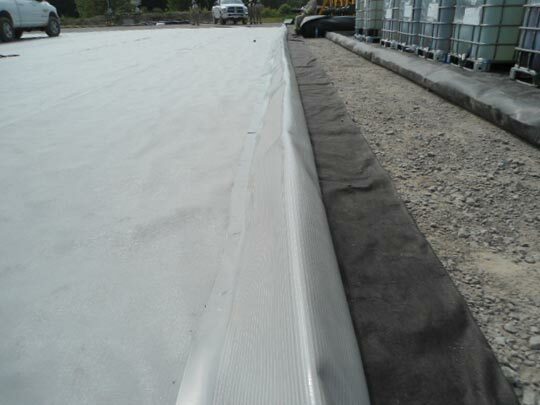 The GES reusable membrane is easily detailed to wrap over curbs and tie into cellars, keeping spills and rainwater within the containment perimeter where they can be captured. The GES tank battery containment membrane easily conforms to wall corners and other details..